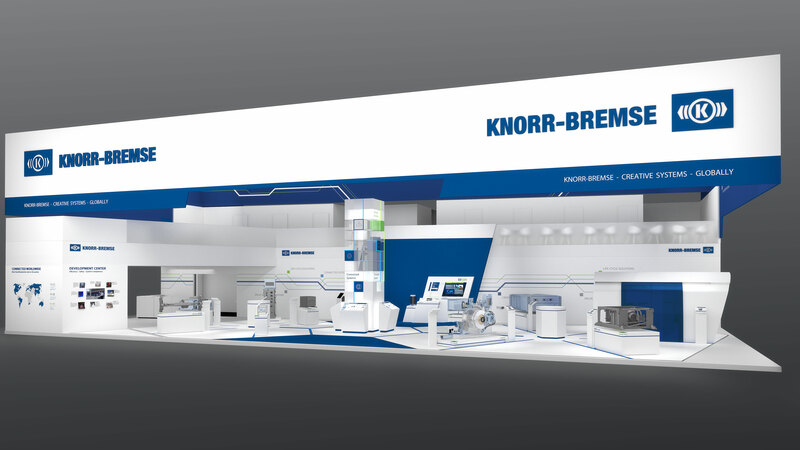 At this year’s InnoTrans 2016 trade fair from 20-23.9.2016, Knorr-Bremse – the global market and technology leader in systems for safe, efficient rail transport – will be showcasing innovative sub-systems and intelligent networking solutions designed to enhance rail vehicle performance under the motto of “Creative Systems – Globally” The company supports manufacturers and operators in their efforts to maximize operational and functional safety and minimize costs. Networking a train’s subsystems generates significant added value for manufacturers, operators and users. Vehicle builders enjoy access to complete solutions from a single source, fleet owners benefit from lower operating costs, and passengers experience improved reliability and punctuality. The advantages for vehicle builders range from easier project handling to simplified approval processes. Well-matched sub-system hardware and software that has been tested prior to integration makes the system architecture easier to plan and reduces the electronic complexity of the various different sub-systems. Closer networking of individual sub-systems in a rail vehicle increases the benefits for the operator. If, for example, across-the-board diagnostics are available for the brakes, doors, HVAC, and power supply, there is no need for separate service tools for each individual sub-system – meaning lower costs and simpler, faster and cheaper commissioning and maintenance. Knorr-Bremse has developed a comprehensive, modular system for the digital railroad age that increases safety and reduces costs for fleet operators: iCOM. This consists of on-board equipment, a back office and a large number of groundbreaking apps. The iCOM Monitor app, for example, combines detailed measurements and analytical data with automated diagnostic functions to display the current status and servicing requirements of all the train’s main systems. This enables fleet operators to carry out condition-based or preventive maintenance on their vehicles, avoiding component failure and enabling cost-effective repair and maintenance work to be carried out as required. Further applications are iCOM Assist (LEADER®) and iCOM Meter: iCOM Assist helps the driver maximize energy efficiency and reduce wear and tear while still adhering precisely to the timetable; iCOM Meter monitors and records the train’s actual power consumption in real time, enabling the operator to ensure accurate billing and use the data to identify potential for further reductions. All iCOM apps share a common hardware platform and a state-of-the-art user interface in the iCOM back office. The system is based on an open standard, making it equally suitable for vehicle builders and operators alike. At InnoTrans 2016, Knorr-Bremse will be showcasing a wide range of new products designed to improve the safety, comfort, and efficiency of rail travel. The innovative SNAKE entrance system for mass transit vehicles from Knorr-Bremse subsidiary IFE is a case in point: The ultra-flat, light-weight doors can be installed in a restricted space and offer rapid opening and closing, making them ideal for operations with high passenger volumes. The entrance system is not only extremely robust but also requires minimal maintenance, thanks to its lubricant-free spindle drive. Knorr-Bremse’s Intelligent Air Control® system adjusts the volume of air it supplies according to the vehicle’s operating status. As it also functions without the need for an auxiliary compressor and is effectively sound-proofed, the overall result is lower costs, a simplified system and reduced noise emissions for passengers and the surrounding environment. Further innovations on show at the Knorr-Bremse booth are the modular CCB-3 locomotive brake unit and ‘CFCB Light’ – a new compact freight train braking system designed for applications where weight is crucial. With its acquisition of the rail transport division of brake pad specialist TMD early in 2016, Knorr-Bremse significantly expanded its friction material portfolio to include not only retrofittable organic LL pads but also low-noise organic pads as original equipment. These and the related services will be on show at InnoTrans, together with other products such as new sintered pads. With its standardized, modular products, Knorr-Bremse PowerTech is able to offer on-board converters for a wide range of performance categories and vehicle types. The converter technology can also be linked with other Knorr-Bremse products and systems such as iCOM diagnostic software, air compressors or HVAC systems. The success of the life cycle solutions on offer from Knorr-Bremse RailServices is mainly due to a combination of operating safety, short downtimes and low repair costs. RailServices supports its customers during the entire life of their vehicle, providing them with complete service packages, efficient spare parts logistics and rapid, flexible service using highly-qualified, experienced staff on the ground. Knorr-Bremse RailServices also offers modernization solutions that can help reduce the total cost of ownership and extend a vehicle’s operating life. The Knorr-Bremse engineering team ensures that customer-specific solutions are homologation-ready and all available cross-product synergies are utilized. The products and services showcased at InnoTrans 2016 are a further demonstration of Knorr-Bremse’s global leadership in the field of rail vehicle systems. 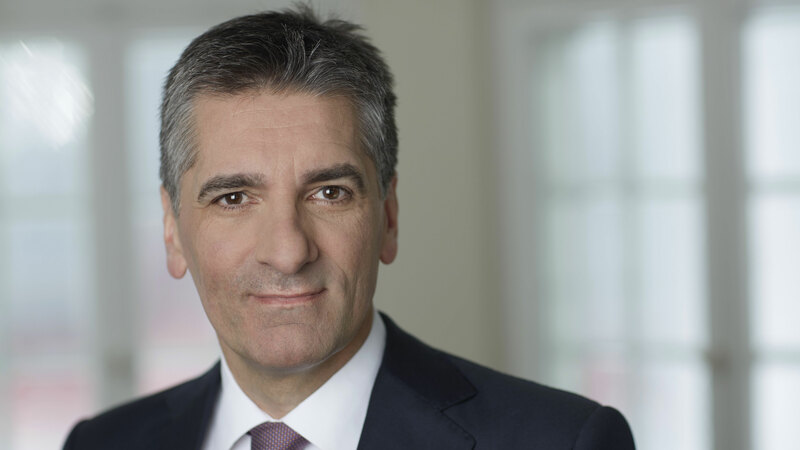 To make sure it can continue to supply vehicle manufacturers and operators with innovative systems that deliver improved safety, efficiency and cost-effectiveness, Knorr-Bremse opened a unique new development center in mid-2016. Costing more than EUR 90 million, it represents the biggest single investment in the company’s 111-year history. With a total of 100 test rigs, the building offers optimum conditions for developing and testing new types of braking systems for rail vehicles and trucks. For example the development engineers are currently working on advanced solutions that will make low-wear, precise braking of trains possible whatever their load and whatever the weather conditions. This will enable train frequency to be increased and further improve punctuality.